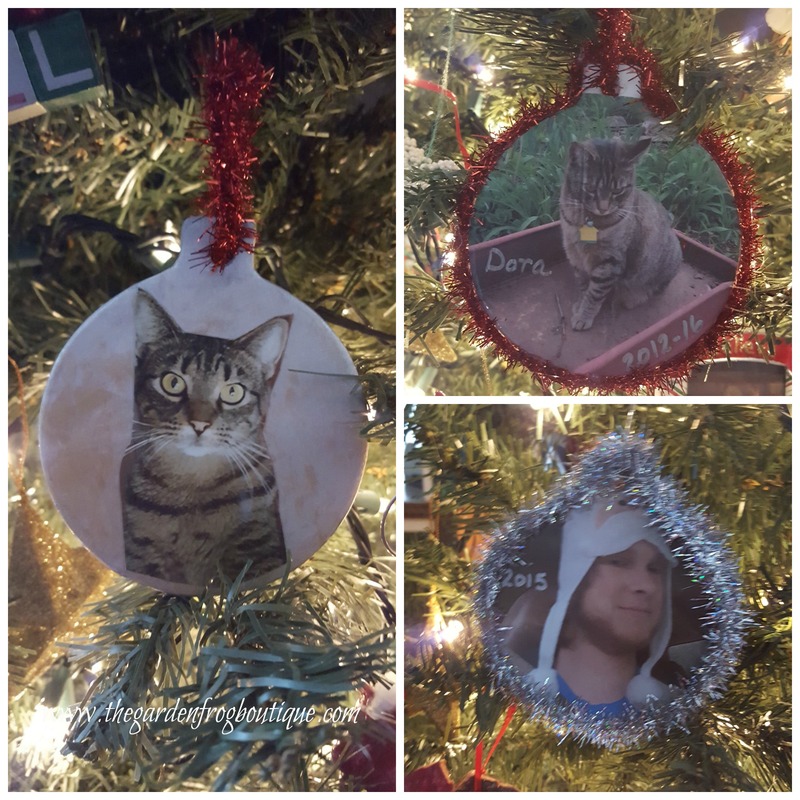 Pet photo DIY Christmas ornaments from the clay ornaments you find at the craft stores (I purchased these 1/2 off at Hobby Lobby) and Mod Podge. What an easy way to capture your beloved fur baby. 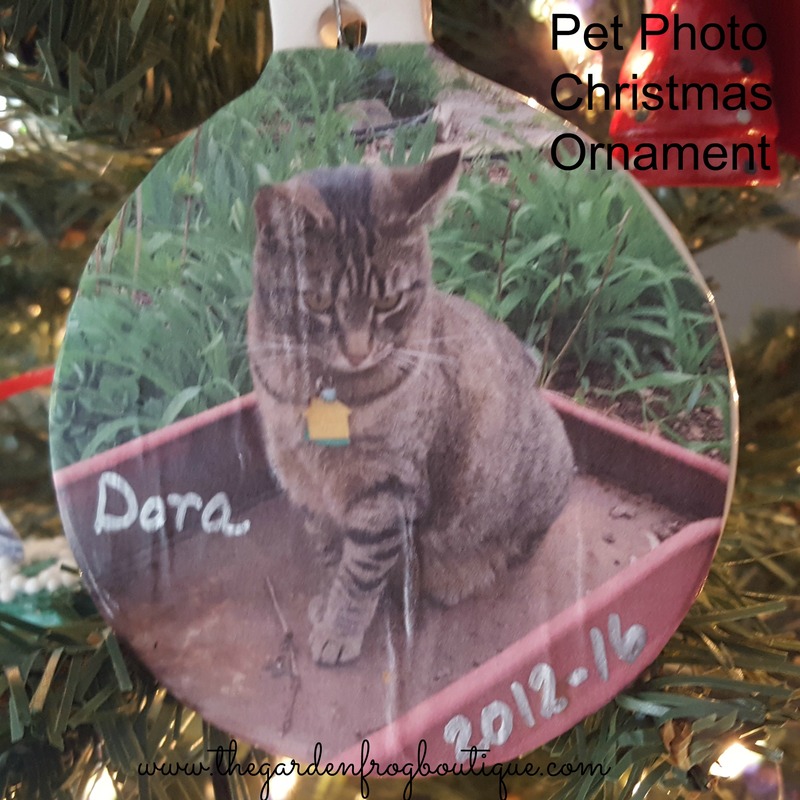 I have experimented with several ornament ideas and I think this one is by far my favorite because we lost Dora the week of Thanksgiving (2016). I love my pets, can you tell? I am a sentimental woman at heart and every day I find opportunities to take pictures of my fur babies making me smile. Like when my dogs are digging up the newly leveled yard because there are moles and voles. Cocokitty the cat curled up on my lap and I cannot move because I do not want to disturb her. So many funny moments I capture on my phone. There are so many possibilities to do. Add ribbon, glitter, and bling as an activity with the kids to create one of a kind Christmas memories. 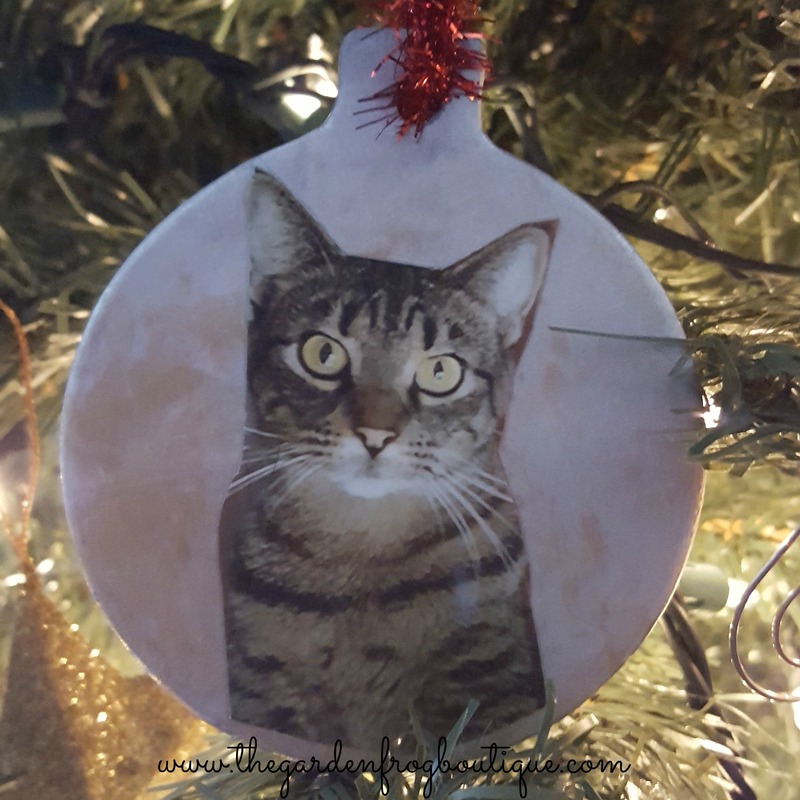 Try to pose the dog or the cat to create a picture to adorn the ornament. I also did a couple pics of my sons too. 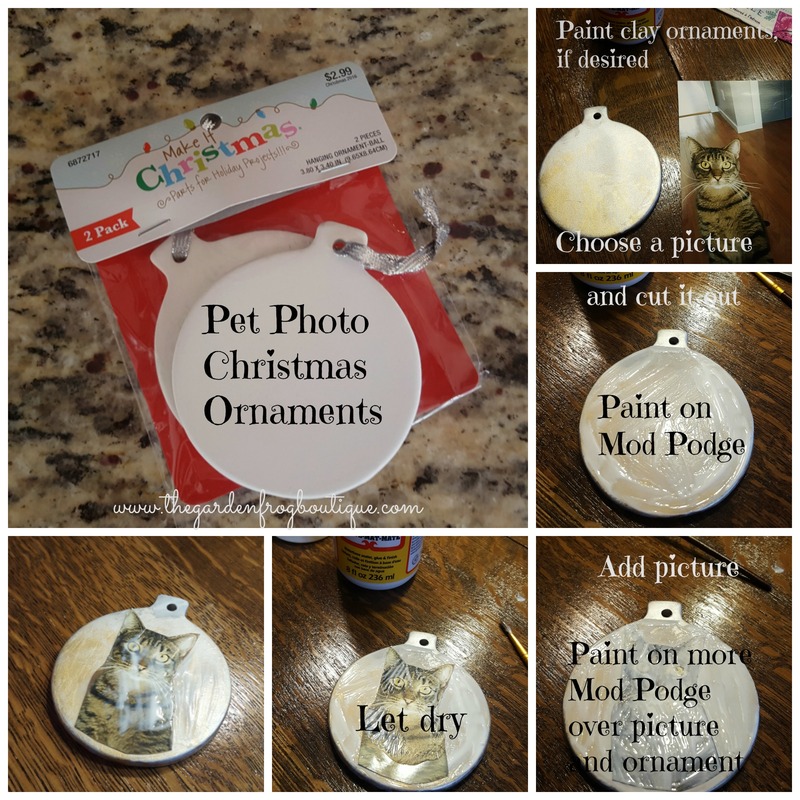 You can either leave unpainted and use the Mod Podge to seal the ornament or paint the ornament before applying the picture. I created the ornaments both ways- painted and unpainted. You can paint the ornament any color and any way you choose. and paint more Mod Podge on top to seal in. Thanks for stopping by! Merry Christmas and create those memories and you can click here to see the other clay ornaments. Creating. Inspiring. and Gardening without the rules! These are beautiful, Renee! Now you’re sharing another creative side to your passion. You really are full of inspiration. I think you need to create a store and start marketing your ideas. Or maybe, offer coaching! Oh thank you! I do want to create a store one day soon (once I get settled in mynew place) and I am hoping through the blogs and social media to create and inspire others to garden, renovate, or just be fabulous!